I will never forget an epiphany I had one evening while mowing grass on our riding lawnmower. Out of the blue, I heard that still, small voice of Jesus ask, "Child, would you be willing to leave here?" I looked around, and my eyes immediately went to the tan house with the green shutters situated on the front left side of our property. My heart ached at even the thought of leaving there. Zach was not even one year old when we had moved into that house all those years ago. He had grown up running across those two acres with his "pack" of seven dogs. We had started homeschooling there, spent many a happy hour behind those walls, made beyond precious memories with loved ones, including my dear Mom who had recently gone to be with Jesus, and grown together as a family in countless ways. How could I even consider the thought of saying yes to the question Jesus had ever so gently whispered? Yet, it was Him. I knew it. And, the realization that I would have to eventually answer Him was not lost to me. The three words that spoke loudest to me in those moments were "For My sake" or in another similar passage in Matthew 19:29, it is worded "for My name's sake." As I mowed, I looked up to the sky and said, "Lord, I would be willing to leave here only if it's for Your name's sake. How do I know if it is for Your name's sake?" I kept asking Him over and over. I knew deep in my heart that nothing short of doing this for HIM would be able to convince me to let go and leave the beloved place we had called home for so long and launch out into the great unknown. Somehow, if I knew with 100% certainty that HE wanted us to do this and that it would be for HIS name's sake, then I would be able to bear leaving the place I had lived longer than I had lived anywhere in my whole life. Only that could overpower my fear of letting go of all that was familiar and what felt safe to me. As the question swirled for a long time, I asked God over and over if I made that sacrifice and came to a place of willingness, would it really be for His name's sake? Peter had a desperate need to know it was Jesus before he ever even considered the thought of leaving the "safety" of that boat. Even though it wasn't the safest place to be, violently tossed by the contrary wind, it felt safer than the thoughts of being out on the open water where Jesus was. 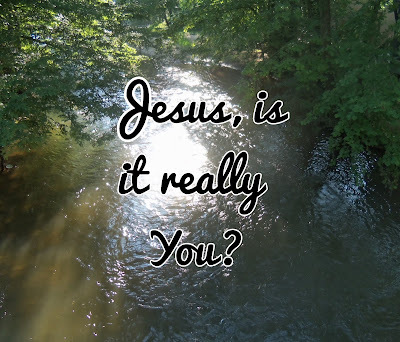 As absurd as his question must have seemed to everyone else on the boat, Peter asked it anyway—"Lord, if it is really You, ask me to come to You on the water." Only after Jesus answered with the affirmation Peter craved did he have the courage to step out and do something that was humanly impossible. Jesus' invitation to "Come" was what Peter needed. Somehow, knowing it is "for His name's sake"—knowing it is HIM out there on those tossing waves in that unknown place makes even the most absurd-appearing, human reasoning-defying, radical proposition seem completely rational. As time went by, the precious Holy Spirit gently and gradually brought me to a place of willingness and pliability to follow Him away from what was familiar, as He affirmed with complete certainty that any time He asks us to launch out into the deep unknown, it is always "for His name's sake." Eventually, He brought each member of my little family to the same conclusion, and with total unanimity, we placed our house and land on the market and "stepped out of the boat" in response to Jesus' call. Since then, He has, through many circumstances and confirming pieces of evidence thoroughly convinced us that everything He asked us to do has been "for His name's sake." Tonight, as Kevin, Zach, and I reminisced about all that has changed and taken place in our lives, we realized that the boat we were in—the place I felt "safe" and had unintentionally come to depend upon for my sense of security—-was taking on water, and had we stayed on board, we would have gone under. Oh, the things we know now that we didn't know then! Walking forward to follow Jesus into the great unknown is never easy. It always requires a measure of faith but especially so when everything around you contradicts what He is asking you to do. We can't go by what we see because our vision can be skewed by our sense of longing to stay in our comfort zone. What we perceive as being familiar and safe may, in reality, be on the verge of collapse. If Jesus is calling us out, He is doing so in our best interest. So, what is He asking you to do, my friend? What have you heard Him whisper to you lately? What invitation from Him has caused your heart to pound? 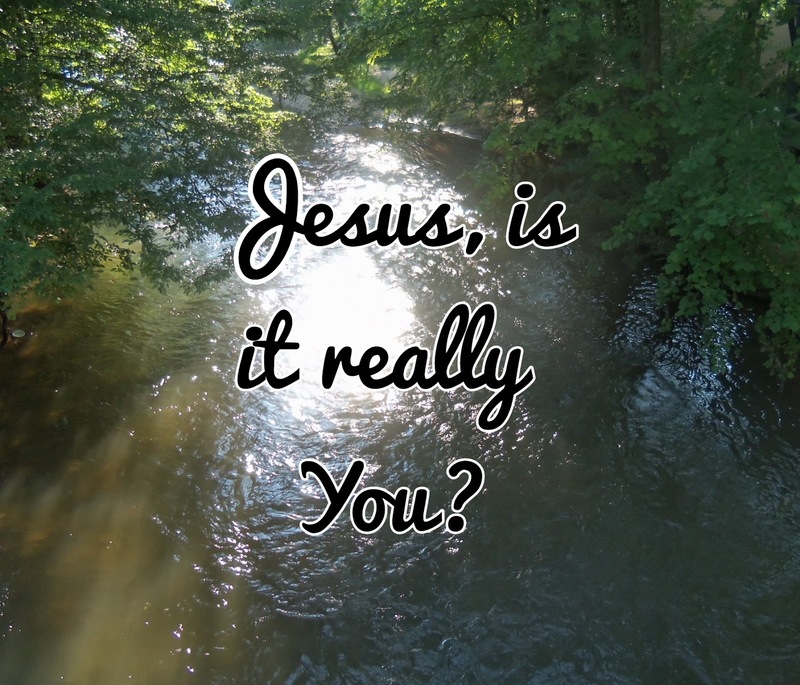 Are you struggling with questions and wondering if it is really Him who is doing the asking? Just ask, "Jesus, if it's You, bid me come to You on the water." When He speaks "Come" you can step out of your boat with a certainty that, regardless how deep or storm-tossed the waters, He is walking beside you, and everything is going to be okay. My sweet friend you never cease to amaze me with your God-given ability to write about great spiritual truths found in scripture. Stepping out in the water can be so frightening, but we have His promise that He will be with us. Thank you for sharing and wishing you a beautifully blessed week! Your kind words are such an encouragement to me! I am so grateful to you and trust the Lord will richly bless you, sweet friend! Thought provoking. I don't know of anything right now that He's asking me to do other than trust Him. I need to think about it. I cannot imagine how hard it was for your, especially in the beginning. Oh, how He longs for all of us to trust Him more! God bless you, too, my friend! Beautiful. I appreciate your words today my friend. We both feel God is whispering to us about future plans right now, but we haven’t discerned His will yet so we’re hunkering down and praying fervently for His will to be made known. YES, how very true, sweet friend. I trust He will reveal Himself to both of us in powerful and amazing ways! Many blessings to you, too! Cheryl, what a wonderful post describing your family's obedience to our Lord and Savior Jesus Christ's call upon your lives. We had a similar experience 17 years ago when I surrendered to the Lord's call for me to serve Him in ministry. I didn't really know what that would look like until one Saturday morning the pastor of my church called to ask if I would be willing to leave my career in education to become his secretary. I fell to my knees and prayed, "Lord, is this You?" and I felt His Loving Arms wrapped around me and a sense of His Peace and His Presence like a soft warm blanket fresh from the dryer, and I said, "Yes!" I walked away from 26 years in education and have spent the past 17 years serving our Lord and Savior Jesus Christ full time as a secretary and various other serving roles in our church. I was recently touched by these powerful daily reminders..."I not who I was, I'm not what I do, I'm someone Jesus Christ loves and enjoys." "I'm not what I do. I'm not what I have. I'm not what people say about me. I am the beloved of God. It's who I am. No one can take it from me. I don't have to worry. I don't have to hurry. I can trust my friend Jesus and share His love with the world." Many blessings to you and your sweet family! Oh, how I loved reading your words today! It is such a dear blessing to call you my friend, and I will never forget our special time together last December. The thoughts of it comforts me so much. Your testimony and life for God is a constant inspiration to me, and I am so grateful for you sharing this part of your testimony here. May the Lord bless you abundantly! Oh, Cindy! This was so encouraging to me today! Flesh against spirit ~ how true and such an accurate description of this very real struggle. Yes, I can surely relate to missing the boat entirely. Sending much love and many hugs and blessings back to you, sweet friend. Dear friend - this is such a moving post. I have experienced the same feelings that you have shared which involved my leaving the church that had been so dear to my heart and soul and venturing to a new church family. I struggled with my thoughts for over a year, attending the "new to me" church but refusing to "break the strings" with my former church - a church that I was born into many years before but which I was now feeling a disconnect from. Through that year I heard the Lord speaking to me each Sunday as I would drive home from the new church showing me that this new place of worship was where I was supposed to be. Now, two years later I know the move was the correct one and it still amazes me at how I was led to this place of worship. Thank you so much for sharing this journey with us here, sweet friend. Oh, what a blessing it is to hear of how the Lord has led you right to where you need to be. I am so thankful you love your new church and He has made it clear to you that you are in His will and plan. I so appreciate you and your support, encouragement, and friendship. Sending hugs your way tonight! Your post deeply touched me. I'm so glad you have the kind of intimacy with Jesus that you can trust Him to go when it seems scary to go into the unknown. And then to have the gift of hindsight to know that if you'd stayed, it would have been worse (if I am reading what you wrote correctly). I pray God continues to reveal His perfect will to you and your family and may God bless you and your family with peace and joy as you "walk out on the water" as God leads. Dear Dolly! Thank you so much for your precious words of encouragement. YES, you surely understood my words. Before we made the move, I remember one morning looking up to the sky as I communed with the Lord, and He was once again dealing with me about moving. I said, "But, Lord, I love our way of life!" He quickly reminded me that those who love their life more than they love Him will lose it, but He told me He protects those who lay it down to follow Him. As I look back now, I see such clear evidence of the many changes and how true and fitting those words truly were/are. You will never know how much I appreciate your prayers for us. It is such a comfort to know you are praying. We are out on the water in depths we have never before experienced but He is here...right in the midst showing His power time after time. God bless you, my friend! My sweet friend, what a gift you are to me and so many others. I greatly appreciate your willingness and desire to listen to the Lord and to follow His ways. You are such a blessing and encouragement. Sometimes the Lord asks us to do things we think we can't and yet through Him we can. His ways are ever so perfect and He leads us in love. Thinking of you, my friend! Sending lots of love your way! I love hearing how you listen to Jesus, Cheryl. When I spoke at my mom's funeral, it was hard to do, but I did listen to Jesus, and He helped me get through it. The song was a beautiful one that you shared, too. Thank you for sharing your heart with us. Oh, my friend! I am thinking of you so much and praying for you during these difficult days. I am so thankful God gave you strength to speak at your dear Mom's funeral, and I know your sweet presence was a comfort to the others, even while you were grieving so deeply. I am so grateful for your kind words. God bless you and hold you extra close to His heart. Thanks for sharing your wisdom. Knowing the story is one thing, having it driven home in your wisdom is another; wherever our Savior is, regardless of how dangerous it looks in the flesh, is the safest place we could ever be! Thank you so much, brother. Your words, "wherever our Savior is, regardless of how dangerous it looks in the flesh, is the safest place we could ever be!" are SO true. I'd rather be there, in that place, WITH Jesus, than to be anywhere else without Him. I feel like I need Him more than I have in my entire life, thus far. I am so grateful for your kind words and encouragement. It truly means so much! Great post. :) And very true. It can be scary at times, but if we step out in faith and truly TRUST, we do KNOW we will be okay, scary or not. I think my hardest times are when there is silence. The waiting drives me nuts, ha, ha! Oh sweet friend, there is so much wisdom in this post! I appreciate so much how you share how the Lord has taught you. What a beautiful testimony of how the Lord has blessed you with a "rear-view mirror" view of where you were and where you are now to testify that you are right where you are supposed to be! Your obedience is such an incredible example to us all. Thank you so much for always spurring us on in love with all humility and gentleness. You are such a precious daughter of the King. I am so thankful to call you friend.